Look Who’s Talking in 140 characters or less. Are you having a hard time understanding Twitter? Here is a picture of some of the people who follow me. Of course, what is more important to me is that I am following them! I hope you get the picture of how you can dip into a community of rich diversity, insight, inspiration, knowledge, engagement, and connection. I find it quite powerful to get a quick snapshot of some of the connections. 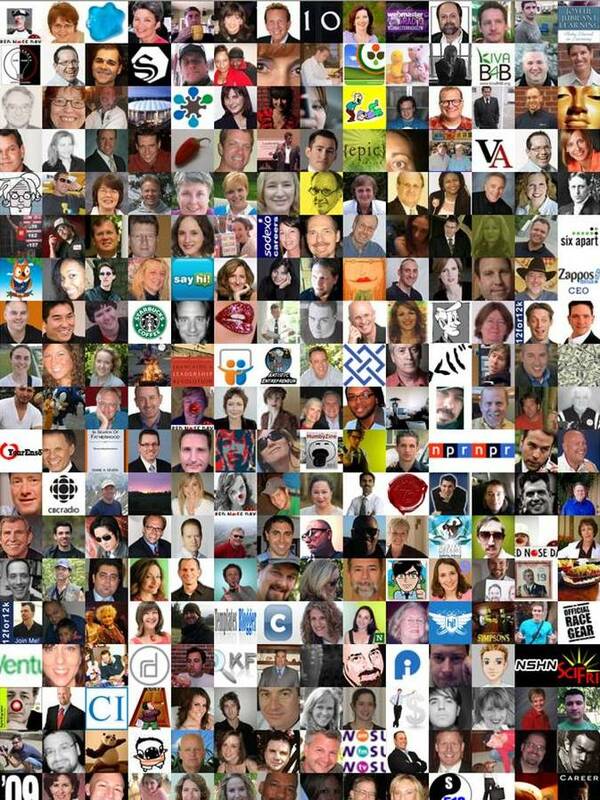 If you already use Twitter you can get your own picture at Twittermosaic.